I have recently joined a KAL called the Tudor Roses Knitalong based, of course, on the Tudor Roses Collection by Alice Starmore. I had already made an attempt at this pattern last year after being inspired by all the beautiful works in AS books. I was lucky enough to have access to them through the Guild Library and seeing the scary prices most of AS works fetch on eBay all I can say is 'thank god for libraries'. Elizabeth 1 is one of the 'less complex' (I won't say simpler) patterns. It has bell sleeves, a graceful neckline and a shaped waist. I bought some Superfine Supersoft 5ply and swatched up a few samples to find the right needles. Unfortunately the ball I chose either had moth damage (scary) or was a bad run because the yarn kept breaking every few feet. 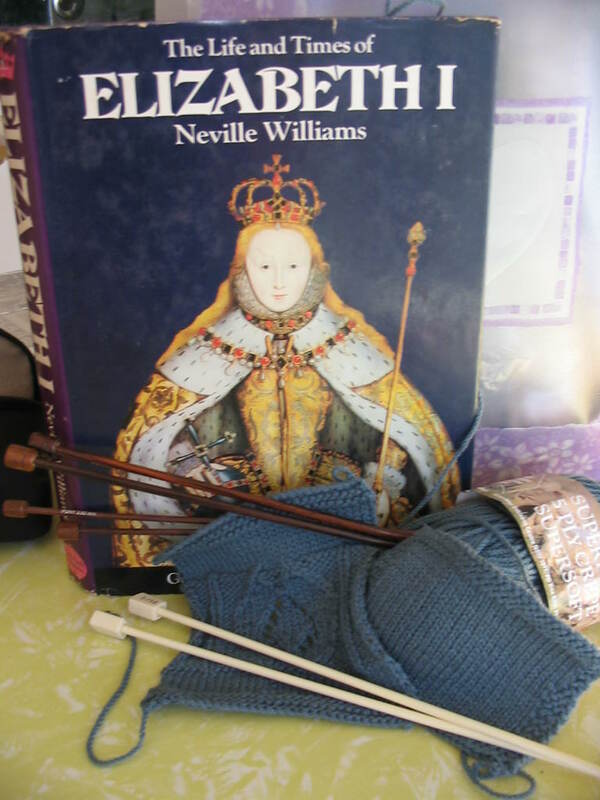 That was enough to put me off and place poor old Liz into the Project pile where she waited patiently until I found the KAL. 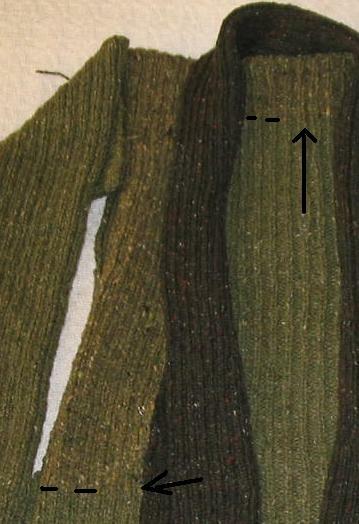 I'm going to follow the example of another blogger and start the sleeves first. That way I can practice the darts and shaping even though I hate doing sleeves - my addled brain loses track of the increases and I have to resort to safety pins as markers. My wip look like punk rockers. On another note I just want to clarify my previous ranting about the ill-fated Jo Sharp rib-wrap. I concur the photo didn't quite reveal the "huge, glaring, obvious, colour difference" the same way my subjective view did but it is obviously there - with a rougher texture as well. The good news is that I am wearing it anyway. It is very warm and comfortable so I can forgive its idiosyncrasies , especially after watching the DVD of "Cider House Rules" last night and seeing all the poor orphans rejected for all sorts of strange reasons such as "being too quiet". A cup of tea, a clapotis and a good read.